Hemp could be enormously profitable, but right now there are just as many questions as answers for Will and Ally Cabaniss, two Florida natives who moved to southern Colorado to embark on the hemp business. Authorized for research and experimental growth in the 2014 Farm Bill, hemp is being grown this year on only about 6,900 acres nationwide, according to industry tallies based on state reports. The crop is still too new to be tracked by the U.S. Department of Agriculture, which has no recent estimate of market prices or commercial uses for marijuana’s non-intoxicating cousin. The Cabaniss farm is typical of many nascent hemp farms, where optimism overcomes the many challenges growing a crop that was illegal for decades. Growing hemp was illegal from 1937 until 2014 because the plant can be manipulated to enhance a psychoactive chemical in the plant’s flowers, called THC, to produce the drug marijuana. The U.S. Drug Enforcement Administration said this week that it still considers the plant an illicit drug with no medical use, limiting its production to state-authorized research and experimental uses. So even though hemp production is legal, it’s still challenging. First, farmers have to live in one of the 29 states that have authorized hemp research. The hemp they grow can be sold for profit, but only if authorized by their state’s agriculture authorities. Next they have to find seed, a daunting prospect. Farmers can now legally import hemp seeds, but the seeds are pricey, running to $5 to $10 per seed. That’s a steep investment, especially considering that seeds developed to thrive in Canada or another country may struggle in the U.S.
Then farmers have to make sure their seeds grow into hemp plants with a very low content of THC. 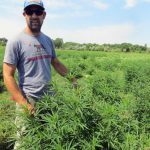 “It’s been a challenge,” said Duane Sinning of the Colorado Department of Agriculture, which regulates hemp growers. The agency is at least a year away from certifying hemp seed — meaning the seed is guaranteed to produce hemp under the legal THC threshold. The crop is so experimental that only three states currently have more than 100 acres in it — Colorado, Kentucky and Tennessee. “It’s an uphill battle when it hasn’t been grown in your area in a long time,” said Andrew Graves, a hemp farmer in Lexington, Kentucky, who is growing about 150 acres of hemp. Graves also runs a company that has about 1,200 acres of hemp under contract, making him likely the nation’s largest single hemp producer. Graves echoed other hemp entrepreneurs in saying that the market for hemp oil is currently much larger than its more traditional fiber uses. Like corn, hemp can also be used for fuel, though low gas prices have steered growers to other uses for their hemp crops. There’s no commodity pricing to say how much processed hemp is selling for — right now all the hemp grows already have buyers in place, sold under private contracts. “We’re having great success with the (oil), but the grain is still coming along. We have some growers having phenomenal yields; we have some growers having no yields at all,” said Graves, whose company Atalo Holdings Inc. includes a hemp-oil company. Back in Colorado, agriculture officials say the crop is very much still an experiment for growers. Farmers don’t yet know how much water the plant needs — anecdotal reports have it using a third as much water as corn or wheat, though published research is flimsy. 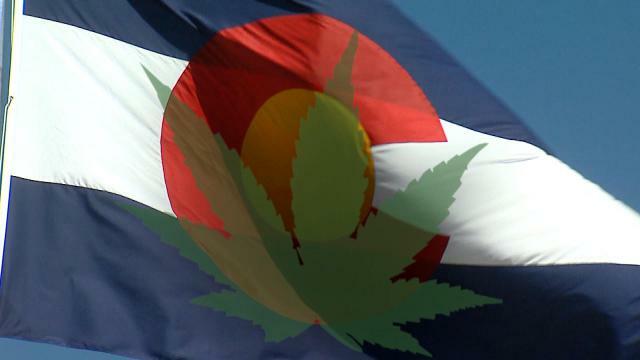 And the agency is still testing to see how Colorado’s high altitude affects the plant’s THC content. Still, Sinning says hemp shows potential for growers looking for a new crop to supplement their existing rotation. “It’s so early as an emerging industry to tell where we’re going to end up,” Sinning said.